This granite effect table adds a sense of solidity to your camping furniture. The 60 model will sit two people. 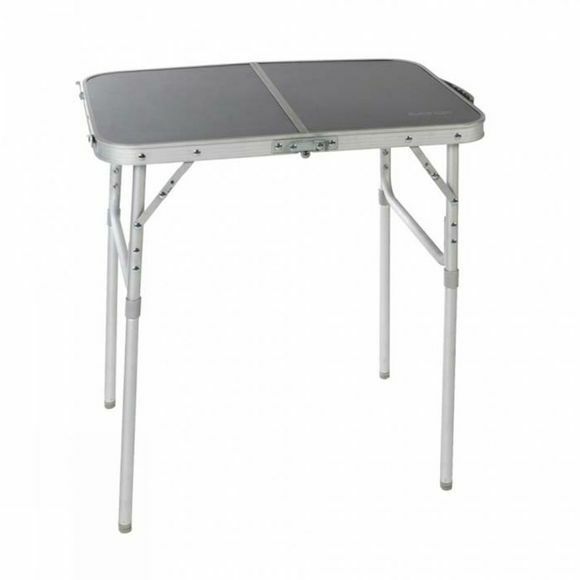 With their highly durable table top finish on top of a lightweight and compact aluminium frame, these family camping tables are designed to provide high levels of versatility. The legs can be adjusted to provide either dining or coffee table height within seconds and there are adjusters to help ensure the table is always stable.the adjustable legs attach under the table allowing it to fold down into a compact carry case, making storage and transportation simple.